We all know the best ways to take care of our teeth. All we have to do is brush our teeth three times a day, regularly floss and use mouthwash, right? Well, it might not be as simple as that. We are constantly told, “you are what you eat”, and what you might not know is that phrase extends to your teeth as well. Certain foods can cause slow, yet severe damage to your teeth. While you may already be aware of some, there are some foods that may surprise you. Find out the 10 worst foods for your teeth here. This one’s a no brainer, but we’ll break it down for you. Candy is a sweet treat that we all can’t get enough of. However, your mother didn’t just limit your candy intake because of its effects on your weight. Candy is overloaded with sugar. That’s what makes it so sweet! Sugar, however, can cause cavities that will make your teeth rot away. It may surprise you, but bread isn’t so healthy for your teeth. Most breads contain a high amount of starch, which your saliva breaks down into sugar that sticks into the crevices in your teeth. This can encourage bacteria and cause cavities. Dried fruit may seem like a healthy snack, however, think about this the next time you reach for a small handful. Because they’re so chewy and sticky, dried fruit tend to get stuck in your teeth. More importantly, because all the water has been drained from them, dried fruit are high in concentrated natural sugars. As a result, when dried fruit gets stuck, they trap sugars, and bacteria, in your teeth and cause cavities. Mornings can seem unbearable without a hit of coffee, but you may want to consider other alternatives to help wake you up. Coffee beans will do worse than just staining your teeth brown. The tannic acids found in them can linger on your teeth after you take a sip, causing your tooth enamel to break down and decay. It might be tempting to have a glass of red wine after work. While experts say a glass of red wine every night is good for your health, consider the effects it has on your teeth. Like coffee, red wine has a high amount of tannic acids that can stain your teeth. However, they also contain erosive acid that can cause stains to penetrate your teeth more deeply. Furthermore, any alcoholic content can dry out your mouth, increasing the likeliness of bacteria. What if we were to tell you that sugars aren’t the worst contents for your dental health? Foods that are high in citric acids, such as lemons, oranges and grapefruits, erode tooth enamel and cause your teeth to stain and decay more easily. 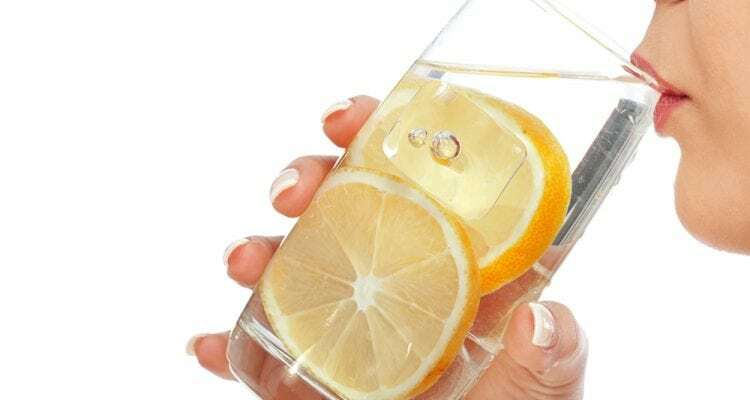 Rinsing your mouth after eating or drinking anything citrusy can help wash out the acids that linger on your teeth. Pickles are a nice, salty inclusion in your sandwich. However, they combine two of the worst substances for your teeth: sugar and acid. That means pickles are twice as likely to stain your teeth and cause enamel erosion and decay. Chips are everybody’s favourite crunchy, salty snack. Think about this the next time you’re walking down the chips isle in the supermarket. Like bread, chips are high in starch that gets trapped in your teeth. Additionally, because we are likely to have more than one handful, the acids from chips tend to linger longer than usual. Like candy, soft drinks have a high amount of sugar, even diet ones. More so, because soft drinks are highly carbonated they cause plaque to produce acid that destroys tooth enamel. Basically, you’re just coating your teeth in acid. Plus, like alcohol, soft drinks dry out your mouth that can invite bacteria to settle into your teeth. If you’re worried your diet may cause your dental health to suffer, contact Titirangi Dental in West Auckland. Our team will provide you with comprehensive dental care to check for cavities, as well as other diseases, and recommend a plan of action so you can take better care of your teeth. Call 09 817 6057, or book online to make an appointment today.